Happy NewYear’s, Happy Kwanzaa, Happy Ōmisoka! This year I’m doing things a little differently. A compromise if you will. In the past Jeremy and I sent Christmas cards out with a holiday letter giving you an idea about the shenanigans we were up to over the year. A year in review of sorts. I’ll admit, I’ve struggled with this. And dropped the ball. But I was reminded recently how some of our family and friends enjoy these notes, and have missed them when I didn’t send them out. So this year I’m posting the letter on my website in the blog and sending it out as an email. Jeremy and I have begun the process of creating new traditions as life has changed so much for us over the last few years. Family has moved, or passed away, friends have made new plans and traditions, and so the time came for us to do the same. As it’s a process, and a slow one at that, there are constant changes as we experience new adventures chalking some up as one timer’s, and other’s we look forward to repeating time and again. The life of an adventurer is always in flux. Last year we did a major remodel in the house, replacing the old white carpet, with new laminate flooring, painted and added a solar tube. We completely re-did our family room including furniture, décor and a nice surround sound system. We did a lot of purging of the old and updated the guest room, and my office, with new paint and furniture. We hosted the annual New Year’s Eve party at our house, where we had anywhere between 20-40 people stop by and hang out. February was a busy month. First our friends from the East coast came to town to visit and we had a super bowl party where the Patriots won of course. Then Jeremy headed down to Johnson Valley for the annual King of the Hammers race. Then my sister Jennifer and brother-in-law Daniel came down from Northern California for a weekend visit. Spring is usually quiet for us as we are gearing up for the summer. May was the annual race in Shasta where we spent the weekend at the races and catching up with my side of the family. We had a great time with my Aunt Evelyn, Uncle Del, sister and brother-in-law. July was a crazy month. We went camping for the fourth of July, instead of attending the Pacific Challenge Race in Stockton where we have been the last few years. Then we did the annual jeeping/camping trip in Mid-July where we celebrated my birthday. Jeremy has attended the Jeepers Jamboree Rubicon event without me the last couple of years but we are hoping that once his Scrambler is back to being trail worthy, I’ll join him, again when the schedule permits. Though this year I skipped the sweltering heat of Orlando, I hope to attend the annual Romance of America’s writing conference on a regular basis, and when the schedule permits, the annual trip with the family. Since those three trips will overlap on occasion, we will continue to juggle them. September seemed to be no less crazy as we camped for the labor day weekend, to escape the heat of the valley, after working a couple of days, Jeremy was off to the annual man hike, only to come home for a couple of days of work before we sprinted off to Depoe Bay on the Coast of Oregon with our good friends Don and Angie Smith, for a couple of days before driving inland to Independence for the beautiful wedding of the lovely Casey Jackson and Drew Snow. Once again our Thanksgiving was spent in San Felipe, Baja Mexico on the Sea of Cortez. After a wonderful trip in 2016, we repeated it again in 2017, this time for a week. There’s nothing like waking up to the sun rising over the water every morning, the weather stayed a comfortable 70’s all week with low humidity. We were honored with an invite for Thanksgiving dinner at our dear friends Steve and Leslie Johnson’s beautiful retirement home as well. December saw the release of my first romance novel, Her Guarded Heart. It became available on Amazon, iTunes, and Barnes and Noble, Kobo and a few other sites. I am so excited that my writing journey has brought me to this new stage in my life. I am hoping that the second book in the series will be ready for release by Spring 2018. Christmas will be spent at home, basking in the quiet of no trips planned, no remodel tearing up the house, just a nice peaceful break before we gear up to do it all over again next year. To everyone that sent us Christmas Cards, thank you very much we hung them up in the kitchen for everyone to see. 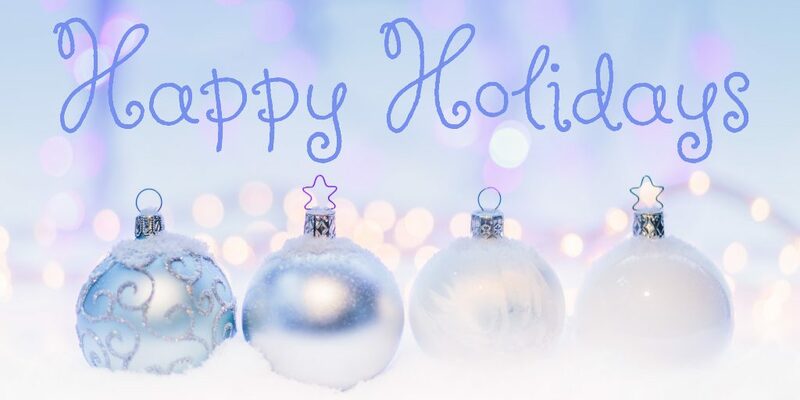 We hope that you and yours have a wonderful holiday, and we hope to see you soon.